We are a small organization built for mining and control over the economy. 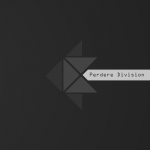 Perdere is planned to be one of the largest trading and mining empires in Dual Universe. Although we need YOUR help to get there. We have a discord where we will be planning more in-depth ideas and would love feedback from our members. Everyone is included! Although we don't have a detailed plan yet we will focus on harvesting, mining and scavaging to get our base resources in the game. Weekly raids are also an idea that has been thrown around. If we find a weak and vulnerable enemy, we will attack as we are not a complete PvE organization. We are fully dedicated to our project. We have our own discord server which will be the hub for all trading that takes place in the game. We are currently working on a discord bot that will have its own currency that users can earn by being active in Discord. This functions as a way we can reward our active members with in-game goodies when the game comes out and also determine the hierarchy of management. AKA The more active you are, the more likely you are to be placed at a higher level of management and earn more. Exchange? How does that work? Well, we will be setting up a way for users to contact each other. It will be a fully P2P system, a user will post a request to buy or sell currency when two users match on a price the bot will automatically send both users a PM saying that a match has been found for their request to trade. Setting up a way for users to trade to a more, out of game 'currency' while not having to directly trade in game (sending the bots currency to one another as a form of value). Like any currency the value of it will go up and down, so choose wisely to invest or divest! Sounds great, how do I join? If you have any questions or comments feel free to leave them below! We will be looking forward to working with Toast Tech, a new corporation that we will have heavy relations with. 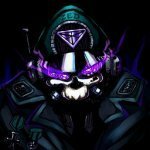 Toast Tech is a corporation that will focus on ship design and logistics. We at Perdere are going to be supplying them with resources and in turn getting high quality, top grade ships to do so. This will benefit both of our teams greatly and we look forward to seeing you there! If you have any questions feel free to hop on our discord. If you are the owner or representative of another corporation and will be in need of resources, please contact me on the Perdere discord server. We are looking to find more high-quality customers and business venture partners! You're posting this in the wrong area. Please go to The Arkship Pub for recruitment. I am interested in joining a mining corporation as in Eve I was a miner almost entirely and enjoy it very much. I have yet to be able to login yet to play as I am a new donator but look forward to learning the mining system as I haven't read anything that truly shows the process in detail. Before I make a commitment is there a mining tutorial or anything that shows something more than just the animated gif that seems to be everywhere (or is this something that I have to wait for my pre-alpha forum access to see)? We have a pretty limited knowledge about mining in this game but i can tell you 3 things. Now since we don't know exactly what skills will exist and how they work i wont cover that. But it's the basic understanding many of us have thus far. Awesome thank you, I'm incredibly new to DU and I appreciate the breakdown. I am also excited about the fact that mining will not be automated as it will make mining worth the time taken to learn it. Most games make it too easy to just automate and it loses the fun aspect because its just offline production.